SHORT SALE SUBJECT TO THIRD PARTY APPROVAL! 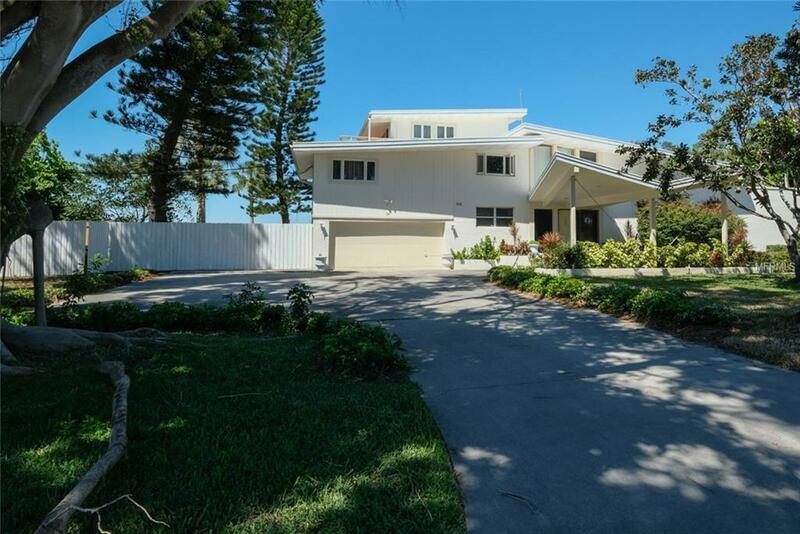 - this 6 bedroom, 3 bath home sits directly on the Intracoastal Waterway offering crystal clear views to the world-famous Ca dZan. This multi-level home sits on a huge double lot allowing for development opportunities. Meticulous landscape surrounds the property setting the tone for the unique architectural touches throughout. Tropical plants line the expansive driveway presenting a tranquil entrance. Upon stepping inside the stunning solid wood door, you will immediately fall in love with the spectacular views of the Intracoastal that will captivate your attention through floor to ceiling windows. Gorgeous chefs kitchen features custom cabinetry and a modern side by side refrigerator. Continue into your dining room that stylishly sits overlooking the living area and amazing views that the open area provides. Step down and let the elegant radiance take over as you enter the living room offering a gorgeous stone coral fireplace and uniquely designed indoor extension of the indoor/outdoor pool. Retreat to your master suite featuring striking trey ceilings and relish in phenomenal views that the large windows and large private balcony provide. Spend your evenings enjoying your personal oasis outdoors with a glistening pool overlooking the Intracoastal waterway or enjoy your large lanai enclosed with glass windows. Proximity to area beaches, fine dining, shopping, and charming downtown Sarasota where Arts and Culture thrive.